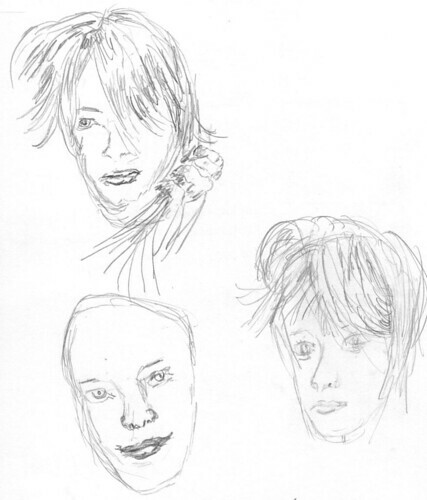 Here are some quick sketches of between 5 and 12 minutes of women’s faces. 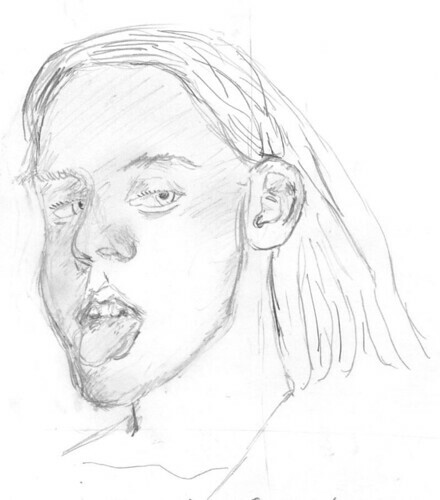 These are just meant to discover the form of the female face, which –as I discovered earlier– needs some restraint on the broad markings with the pencil, while still having strong and deliberate lines in the drawing. 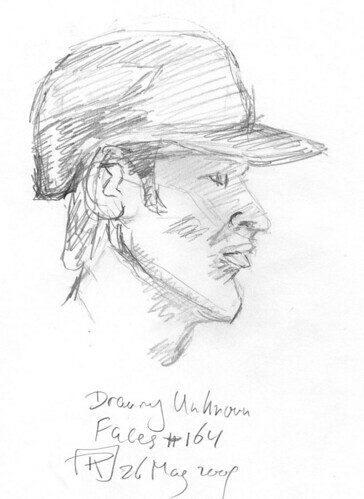 It simply means you have to practice a lot, hence these sketches. This baseball player had a clear profile. I like the strong jaw line and chin. 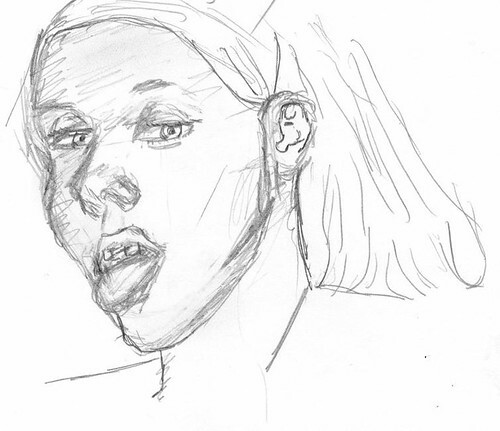 This young woman was licking a lollipop, so a part of her face was concealed. 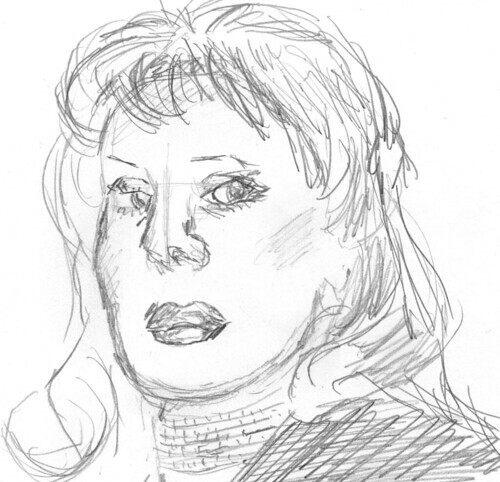 Furthermore, her face was at a hard angle to draw. So I tried to sketch her twice. So I was a bit impatient and added too much papier and glue to the doll. 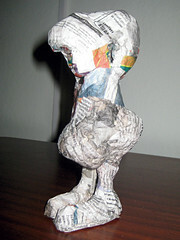 The doll started falling apart, because the glued on paper couldn’t support itself. Luckily, I could save the severed head (it had broken up in two parts and come apart from the neck) with some glue and strips of paper. Next time I should add paper in several steps than all at once. So I was lucky, although all the detail I had put into the head was lost.